When Halley's Comet passed between the Earth and the sun in 1910, it was the first time humans had the spectroscopic technology to determine the chemical composition of a comet's tail. To the horror of some, we found the tail contained poisonous gasses, and we knew that as the comet followed its path around the sun, its tail would sweep over the Earth. Hence, there were End-of-the-World parties the night the comet passed, but--you guessed it--the world did not end. That's fortunate, because it would've been a real shame had Prince never had the chance to record 1999 so we could all play it repeatedly at our Y2K parties, when--if you'll recall--the world once again did not end. In fact, there's a list on Wikipedia titled 'List of dates predicted for apocalyptical events,' all of which turned out to be incorrect. This list doesn't account for eclipses and other natural disasters that fooled our forbearers into thinking the end had come. I mention this because it more and more often seems as though most cyclists (and human beings in general) that one encounters are odious twonks. They won't yield the trail when it's their prerogative. They liter. They ignore your friendly greeting. They'll pass on narrow singletrack without warning. If you haven't noticed that everyone is an odious twonk, it could be that you haven't driven across town in traffic recently. Right-hand turns from the left-hand lane. Constant texting. Sudden and pointless lane changes. Drivers pushing to get to the head of an endless line that has no head. If you do a fair bit of driving and still don't think that everyone is an odious twonk, try reading a few comment threads on the internet. 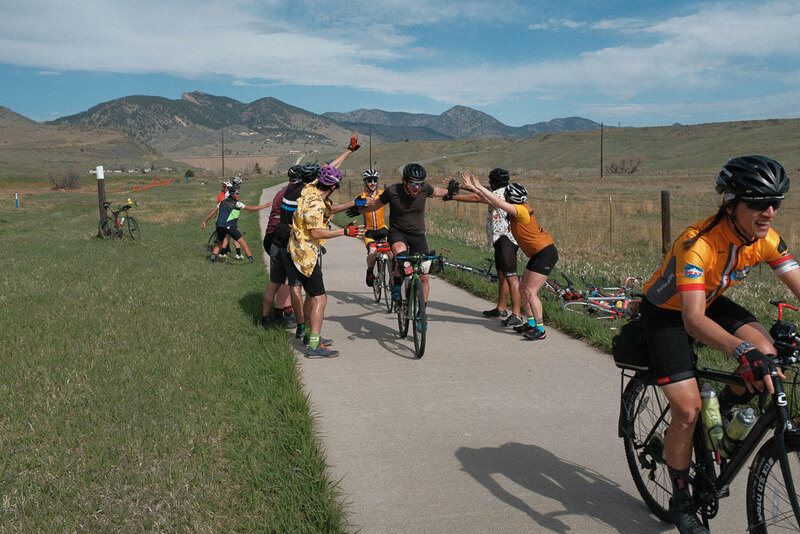 On the front range alone last year, one cyclist was assaulted and another shot. It's easy to imagine that all of our building anger, frustration, and impatience is going to coincide with the destruction of our environment and culminate in a fiery, nuclear period at the end of humanity's run-on sentence. However, the list of misguided apocalyptical predictions suggests that people have always felt this way. Thanks to Socrates, we know that people have always thought the youngest generation would be the ruination of our species: "The children now love luxury, have bad manners, contempt for authority, are odious twonks..." and so on. 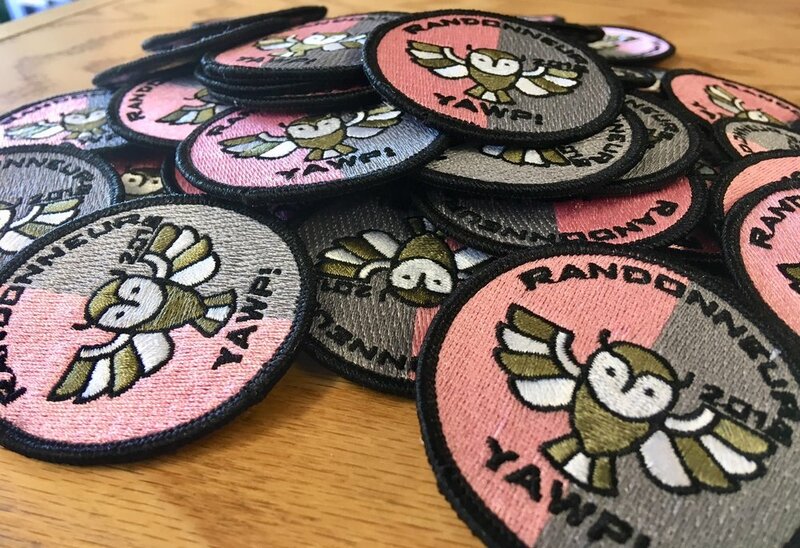 I say all of that to say that we held our second annual Randonee-Nae on April 28th. A randonee is a ride, not a race, that's at least 200 kilometers long. Fifty people showed up for this ride; statistically speaking, roughly fifty of those people should've been odious twonks. None of them were. None of them. How is that possible? I have not been trained to deal with that kind of overwhelming positivity. I enjoy riding past cemeteries, for reasons you can read about here. I should note that the term "Randonee-Nae" was coined by an overwhelmingly positive friend of mine called Reeves. Coincidentally, Reeves maintains that the two oldest sentences in human speech are, "The end is near," and, "These kids today." If these are the sentences that have preceded and defined us, we should take this time to form some better sentences to supersede them. It may sound as though this one terrific day took me from one extreme of the ill will/good will spectrum to the other, but that's not what I mean to convey. What I mean to convey is that in order to survive, as George Costanza put it, "in a society," one has to surround oneself with a fairly thick buffer lest one feel annoyed, shortchanged, and insulted several times a day. Yet that buffer leaves one closed to the very best parts of living in a society--other people. Of course, other people are also the worst part about living in a society. It's really confusing. Thank you to everyone who showed up for this ride. You were good to each other, and you made this one of the best days on a bike that I can recall. Thank you also for agreeing to pay the entry fee. I don't like paying to ride my bike, but together we raised $760 for the Denver Food Rescue. That's pretty good for a bunch of people whom our elders used to contemptuously refer to as, "These kids today." I'm afraid to hold this ride again next year because I can't imagine how it could be this good again. However, if you're willing, I think we should give it a go. Before the world ends. Please enjoy some pictures, and then go outside and ride your bike.